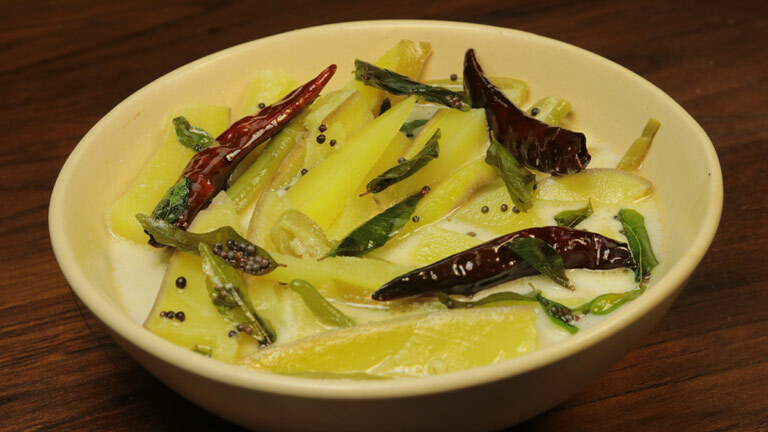 In a thick bottomed pan, cook raw mango with green chilies, dry powders (except pepper powder) and salt. In a pan add oil. Add onion, ginger, garlic and sauté well. Keep this aside. When the water reduces from the mix, add thin coconut milk. Let it thicken. Add thick coconut milk and onion mixture to it and mix well. In a pan add oil and splutter mustard seeds. Add red chilies, curry leaves and shallots. Sauté and add this to the mappas.